Thanksgiving Day, Holiday Lights Celebrations & More! Enjoy the best San Francisco events in November 2018. This month, you will find dozens of fun activities from free walking tours to holiday lights celebrations. Other highlights this month include the Great Dickens Fair, SF 49ers games, and Thanksgiving Day and Weekend activities. You can also enjoy a night out at the theater, opera, or symphony. Read on for more about what's on this month in SF. In addition, you will find two special ice skating rinks in the city this time of the year. One is in Union Square and the other is near the Embarcadero Center. You will find three Broadway shows on stage this month. Some of the top San Francisco events in November include Miss Saigon, Waitress, and A Bronx Tale. 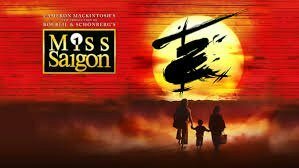 Miss Saigon runs from 10/9-11/4 and is the dramatic love story between an American soldier and a young Vietnamese girl during the war. It's based on the opera Madame Butterfly. It will show at the Orpheum Theater. Find tickets to these performances. Waitress is a fun musical about a waitress that dreams of a better life. She plans to use her amazing pie making skills to win a contest in a neighboring town and live the life she has always dreamed. It runs from 10/15-11/11 at the Golden Gate Theater. Find tickets for all dates. The third Broadway production in San Francisco this November is A Bronx Tale. It's the story of a young man in the Bronx in the 1960s. He loves his father, but also strives to be like the mob boss he admires. It opens at the Golden Gate Theater on 11/27 and runs until 12/23. Get tickets for all shows. Some of the top San Francisco events in November are our daily cruises. You can head out on the SF Bay for an hour or two and enjoy the amazing views all around you. Many of these cruises leave from Fisherman's Wharf and return to the same place they started. Almost all of them cruise under the Golden Gate Bridge, along the San Francisco shoreline, and make their way near or around Alcatraz Island. Some of the cruises also offer dinner, dancing or a few drinks along with your ticket. The sunset or evening cruises are also popular. Here are a few of my top picks for November. Sunset Sailing Cruise: This 90-minute sunset tour is a fun way to relax and unwind during your stay in November. This month, it runs every Friday, Saturday, and Sunday and leaves at 5:30pm until the 5th when it leaves the dock at 4pm. Also included with your ticket, you will get two complimentary beverages and some light appetizers. Find availability for the Sunset Sailing Cruise. 60-Minute Bay Cruise: The most popular cruise all year long is the 60-minute Bay Cruise. This one provides you with a great highlight of the bay. It takes you under the Golden Gate Bridge and around Alcatraz. It starts and ends in Fisherman's Wharf. It leaves several times every day of the year. Find tickets for this cruise. Sausalito Ferry: You can also take the ferry over to Sausalito for the day. This is a one-way ticket that gets you from SF over to Sausalito. Buy a second ticket for your return journey. With these tickets, you can take any ferry for that day. Sausalito is a fun place to visit with plenty of shopping, amazing restaurants, and views that you won't get anywhere else. 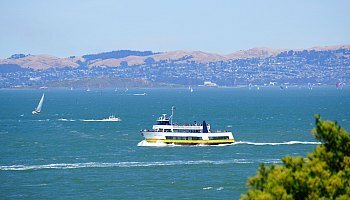 Find tickets for the Sausalito Ferry. Here are some of the top places to stay in Fisherman's Wharf. Some of the best San Francisco events in November also include games in Oakland with the Golden State Warriors. 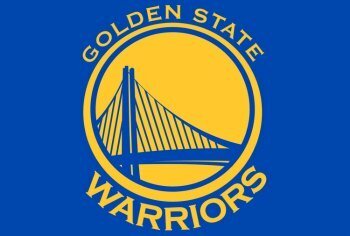 The 2017/2018 NBA Champs play almost a half a dozen games this month against teams such as the Chicago Bulls, the Minnesota Timberwolves, and the Miami Heat. All games are played on the other side of the bay at Oracle Arena in Oakland. It's an easy BART train ride over from any stations in San Francisco. Head over to cheer on (or against!) Kevin Durant, Stephen Curry, Klay Thompson, Draymond Green and others. You will find dozens of fun events this Thanksgiving in San Francisco. 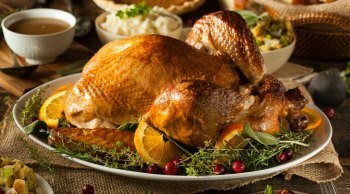 Use my planning guide to find the best places for a traditional or not-so-traditional holiday meal. 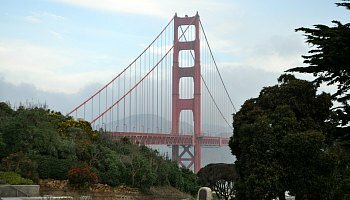 You will also find many other fun things to do on Thanksgiving Day from riding a bike over the Golden Gate Bridge to cruising around the SF Bay on boat. 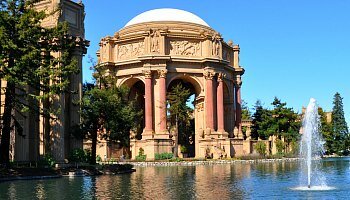 Many of our top attractions are open also including the California Academy of Sciences, the Palace of Fine Arts, Botanical Gardens and others. The holiday weekend is also full of fun activities and most attractions, tours and activities offer a regular schedule all weekend long. My guide also gives you recommendations on what do to all weekend long. 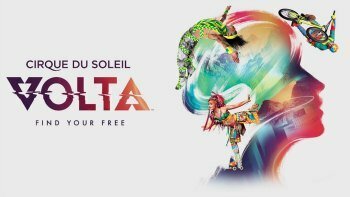 One of the top San Francisco events in November is Cirque du Soleil's Volta. This year's performance is all about self-discovery and building the strength within yourself to be the best you possible. It's the heartwarming story of Waz, a gameshow contestant, that thinks being on TV will help him get the love and recognition he thinks he deserves. He finds out that in order to achieve great things in his life he needs to believe in himself and do everything he can reach his potential. Shows run every Tuesday through Sunday and there is also a performance on Thanksgiving Day. All performances are Under the Big Chapiteau near Oracle Park (formerly AT&T Park). >> Learn more about these performances and get your tickets today! 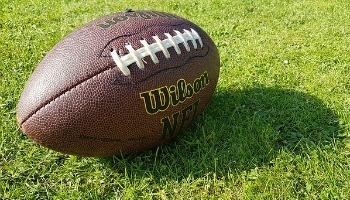 Head over to Levi's Stadium to watch the San Francisco 49ers play their fifth season at this new stadium in Santa Clara. The stadium is about an hour south of San Francisco and is easy to get to by both public transit and by car. This month, the 49ers will be taking on the Oakland Raiders on 11/1 and the New York Giants on 11/12 at home. Go Niners! The first place to look for discounts is on Goldstar. They offer deals on tickets to tours, the theater, and more. These are just a few of the discounts you will find this month. Spring Mountain District Harvest Celebration (11/18): This wine tasting festival is one of the best each year. It features top ranked wines from one of the best regions in the Napa Valley, Spring Mountain. 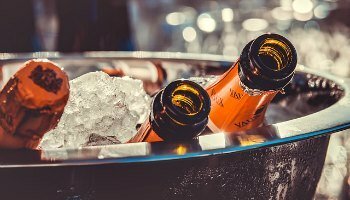 Top wineries such as Pride Mountain Vineyard, Spring Mountain Vineyard, and Stony Hill Vineyard will be serving up their top wines from the past, present and future. This event runs from 4pm to 7pm. Find tickets on EventBrite. San Francisco Ski & Snowboard Festival (11/3 & 11/4): The ski season is almost here and this festival is a great chance to stock up on new gear. This annual event features discounts on clothing, skis and everything else you need for a season in the mountains. You can also test your skills on the climbing wall, watch the BMX and skate ramp show, and mingle with other snow lovers. The event is at Pier 35. Bacon & Beer Fest (11/10): Spend the day at Oracle Park (formerly AT&T Park) enjoying two fall favorites, bacon & beer! This 3-hour fest includes tasting cups and access to more than 100 regional beers. You can also nibble on more than 30 bacon infused dishes created by local chefs. Other activities include lawn darts, live music and a beer taste test. Find tickets at a discount on Groupon. San Francisco International Tea Festival (11/3 & 11/4): This year's International Tea Festival is scheduled for Saturday, November 6 at the Fort Mason Center. At this event, you will get the chance to sample a variety of teas from around the world. You will also receive your own teacup to sample during the event. All of the teas will be on sale too, so you can easily pick up anything you want! 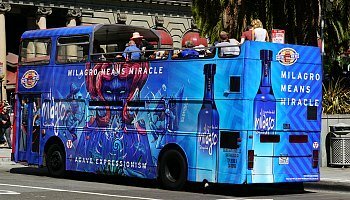 Our bus and city tours are also very popular San Francisco events in November. You will find a variety of options that take you all around town to learn more about our top attractions. The Hop On Hop Off buses are great for those visiting for the first time. In one or two days, you will get a great lay of the land and be able to easily get from one attraction to the next. Our city tours are also popular. In just a few hours, you will drive past and learn all about places such as the Golden Gate Bridge, Fisherman's Wharf and others. Many of them offer photo stops along the way. Here are a few more details and some of my recommendations. 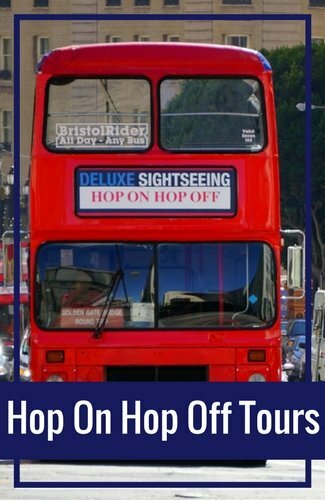 City Sightseeing Hop On Hop Off: City Sightseeing is one of my top picks for hop on hop off bus tours. They offer 1-, 2-, and 3-day tickets which will give you plenty of time to get around SF. They include more than 30 stops and the entire round trip tour is just over 2-hours. Find out more about their options. 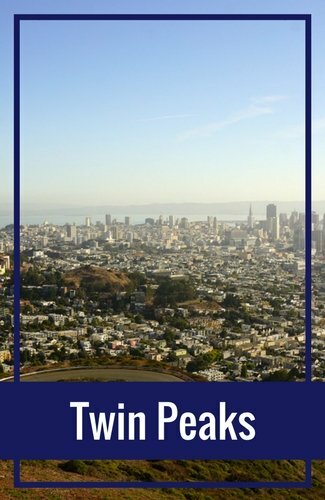 Grand City Tour: This 3.5 hour tour will take you past top sights including the Union Square, Golden Gate Park, and the Presidio. You will also get the opportunity to stop and take photos in the Civic Center, Golden Gate Bridge, and Twin Peaks (weather permitting). It's a great way to quickly get a feel for everything San Francisco has to offer. Check for tickets for November. 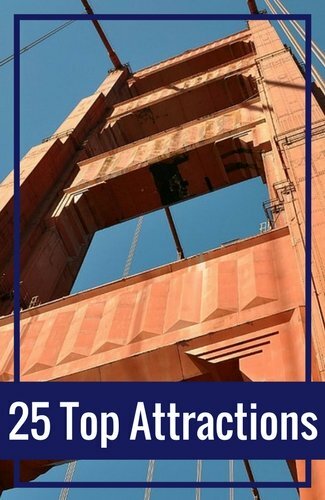 SF Movie Sights Tour: If you love movies, you are going to really enjoy this fun movie tour around San Francisco. You will drive past and learn more about spots around town that were featured in movies and shows such as Mrs. Doubtfire, The Princess Diaries, Full House, and Interview with the Vampire. Find tickets for November. The largest sandcastle competition in Northern California is not only fun for the family and a great excuse to get the community together out on the beach; it also raises money for a fantastic organization, Leap, that brings hands-on learning experiences to over 6,000 students across the Bay Area. 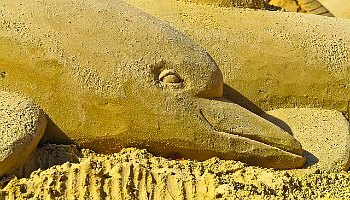 Head on over to Ocean Beach between 11am and 4pm to witness some dazzling sand creations! A great outing for the whole family, Discovery Day at Oracle Park is a free event that transforms the ballpark into a science wonderland. This event draws thousands each year to conclude the larger Bay Area Science Festival. 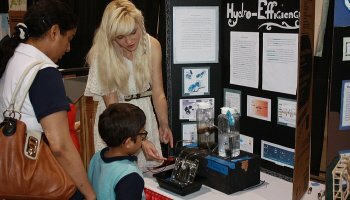 Ignite the inner scientist in you with over 150 hands-on exhibits all over the field. It runs from 10am to 4:30pm. It's an all ages event and one of the top family friendly San Francisco events in November! Though it doesn't snow in San Francisco, the city has ways of bringing wintry fun right to the heart of downtown. 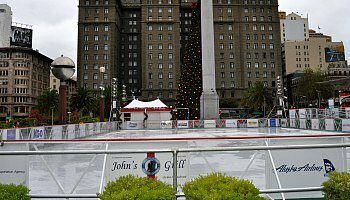 People of all ages love the holiday ice rinks installed at the Embarcadero (right across from the Ferry Building) and Union Square (right next to the giant Christmas tree and the stores all decked out to the nines). 90-minute sessions are refreshing and a great break from all the hustle and bustle of this part of town. If you plan to spend quite a bit of time touring districts all around SF, your best bet is to stay in Union Square. These are just a few of my top recommendations here. 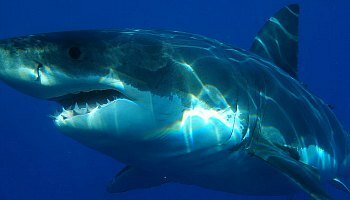 Take an adventure of a lifetime and come face to face with some of the world's largest great white sharks in their natural habitat. During this season, the famous Farallon Islands just of the coast of San Francisco offer incredible opportunities to view sharks feeding on local seals. You can watch them from the boat, or get up close in the underwater shark cage. 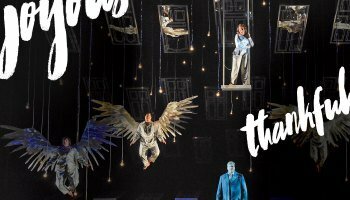 Head over to the SF Opera House in the Civic Center District to see one of two shows this month. The first is Arabella which is set in Vienna in the 1860s. It's a romantic comedy about two young ladies and their quest for love. It runs from 10/16 to 11/3. This month's second show opens on November 17. It's a Wonderful Life is based on the classic film with the same name. It's about second chances and a great show for this holiday season. It runs until December 9. 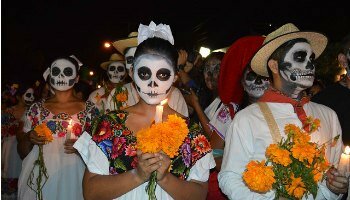 SF's Mission District has been celebrating Dia de los Muertos (Day of the Dead) since the 1970s. Every year, the community sets up a festival of altars in Garfield Park from 4pm - 11pm, and holds a procession at 7pm starting from 22nd and Bryant. If you want to see what this Latin American tradition is all about, head over to check out the art and music. If you want to honor a deceased loved one yourself, feel free to bring flowers, mementos, and candles. Calling all wine lovers! This month's SF Vintner's Market is a great place to sample new wines and purchase your favorites from more than 200 wineries. You will find several local producers from Napa, Sonoma, Mendocino, and more. It runs from 3pm to 6pm both for two days. Don't miss out on our chance to pick up some great presents for your friends, family, and yourself! This year's event will once again be at the City View in the Metreon in the South of Market District. Spend an evening at the elegant Davies Symphony Hall, steps away from City Hall, for a performance of the world renowned San Francisco Symphony. 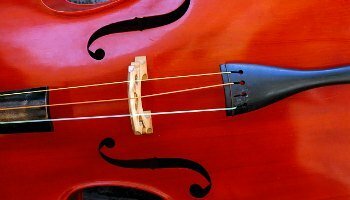 Some of the top San Francisco events in November with the SF Symphony include Jurassic Park in Concert (11/1 - 11/3 & 11/6). Listen to the live score of this film performed by the symphony. Other top shows include The Diary of Anne Frank (11/15 - 11/18) and Beethoven's Ninth (11/23 - 11/25). 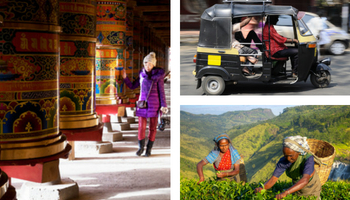 This film festival is a can't-miss event for anyone intrigued by South Asian cultures--including stories from India, Pakistan, Sri Lanka, Bangladesh, Bhutan, Nepal, Tibet, and Afghanistan. Enjoy everything from documentaries to Bollywood over four days of screenings in SF's Japantown and Castro Districts, plus one day in Palo Alto. You can buy tickets to individual movies or a pass to see all SF or Palo Alto films. November is also a fun time to check out the locations near San Francisco. We are so lucky to have such an amazing city, but to also have so many cool locations nearby. 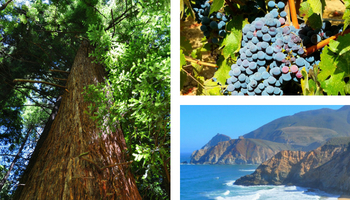 In one day, you can head north for some wine tasting in Napa or Sonoma. 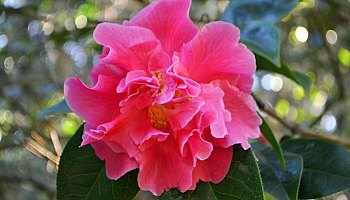 You can also head south and spend some time in Monterey or Carmel. Other top day trips include Muir Woods where you will see some of our famous redwood trees. You can also do a Yosemite highlights tour which gets you all the way to the park and back in one day. Here are a few of my top picks this month. The Golden Gate Half Marathon is an annual event that takes runners over the Golden Gate Bridge during the race. Your run starts near Fisherman's Wharf at the Municipal Pier. You will then run along the waterfront, up and over the Golden Gate Bridge, and return back to San Francisco. The race ends in the beautiful Presidio. Are you still looking for a great place to stay during your visit to San Francisco? If so, I recommend starting your search on one of these three hotel sites. The links below will take you immediately to the deals section so you can find a great rate for your stay! 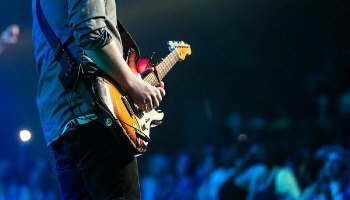 Every night of the week, you will find a variety of great concerts all around San Francisco. Top performances are at venues such as the Bill Graham Civic Auditorium, the Nob Hill Masonic Center, and the Fillmore. Additional top venues include the Fillmore, the Independent and the Great American Music Hall. Below are just a few of the top shows. Make sure to visit the November concert page for a full list of performances this month. Click the names of each performer for ticketing information. San Francisco has a fantastic comedy scene. 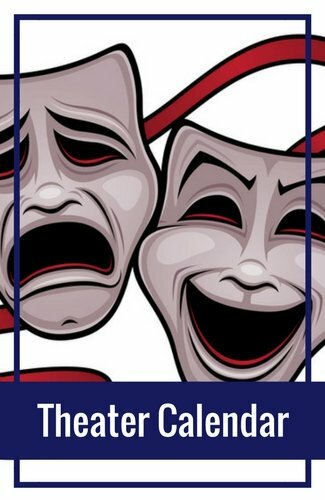 You can enjoy live performances of improv or stand-up nearly every night of the week. 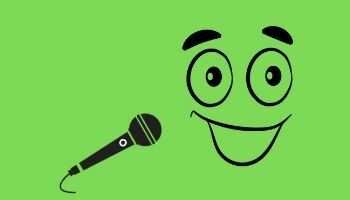 This month, you can catch Jimmy Carr, Chris D'Elia, and many more on stage at SF's biggest comedy clubs. In addition, this is the home of the famous Beach Blanket Babylon, a long-running, ever-changing satirical musical with fabulous hats. Our comedy shows are some of the best San Francisco events in November. This is the 61st year for the San Francisco Chronicle International Auto Show. In 2018, it will once again be held at the Moscone Center in SF's SOMA District. For five straight days, check out the latest vehicles on display throughout the showroom. See up and coming models from Chevy, Ford and BMW. 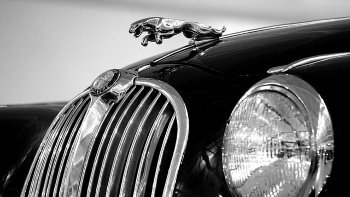 You will also get the chance to see unique cars all weekend long. It's a fun way to spend some time this Thanksgiving Day Weekend and one of the most highly anticipated San Francisco events in November. Do you love history? Are you interested in hearing more about San Francisco's unique districts and culture? If so, then check out one of the free walking tours offered by SF City Guides (part of the SF Library). 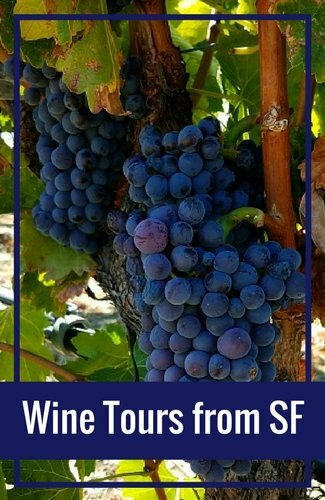 Every day of the week, you will find five to ten tours available all around SF. There is no cost to join a tour, but they do request a small donation at the end to keep their program running strong. Stroll across the Golden Gate Bridge, discover the unique history of the Palace of Fine Arts, and learn the mysteries of Chinatown's small streets and alleyways. You can also find out more about North Beach, Fisherman's Wharf, and the Ferry Building. 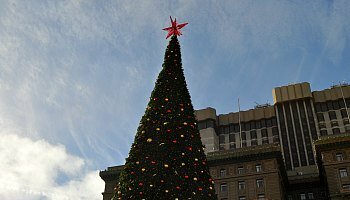 This November make sure to check out one of the tree lighting ceremonies and/or holiday celebrations in San Francisco and beyond. They range from the popular tree lighting celebration at Pier 39 to the lighting of the menorah at Union Square. The tree lighting ceremonies typically begin the weekend before Thanksgiving. You will also find several large celebrations the weekend of Thanksgiving as well as in early December. 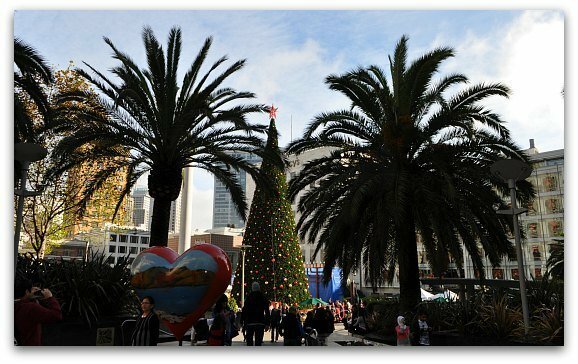 Click the link below for this year's schedule of San Francisco events in November and December. This is your chance to visit some of SF's top museums for free! Toward the beginning of the month museums such as the Asian Art Museum, the de Young, and the Conservatory of Flowers invite you to visit their exhibits for free. 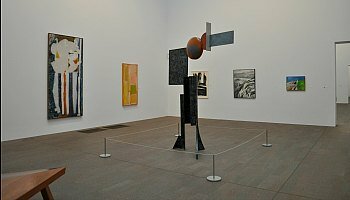 On free days, they open their permanent collection to all visitors. You can spend just an hour cruising around or all day long. 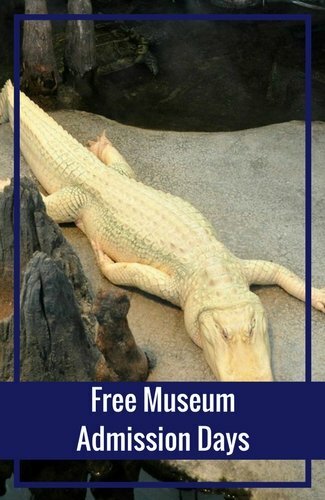 I recommend heading over early to get your spot in line with a chance to see some of our amazing museums at no cost. Some of their temporary exhibits do require a paid ticket even on free days. Take advantage of SF's world-class museums, each offering unique exhibits throughout the year. These are a few of the top exhibits scheduled for display this month. Click the links below for a full schedule of upcoming San Francisco events in November at our top museums. Celebrate the holiday season at this unique festival. The Great Dickens Fair is a recreation of Victorian London and includes costumed characters, lively entertainment, and food and drink. It's a great place to also pick up some interesting holiday gifts for those on your list. The event is held at the Cow Palace and runs from 10am to 7pm. You can either pick up tickets from their website in advance or buy them at the door when you arrive. Santa Claus is coming to town! He will be making his way all around San Francisco in both November and December. 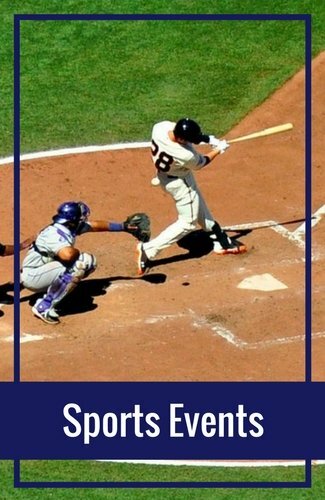 Some of his most popular stops are at the Westfield Mall, the Japantown Center Malls, and the SF Zoo. You can also see him at tree lightning ceremonies around town. 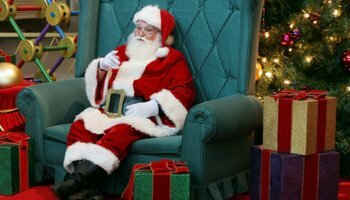 Don't miss your chance to let Santa know if you've been naughty or nice! 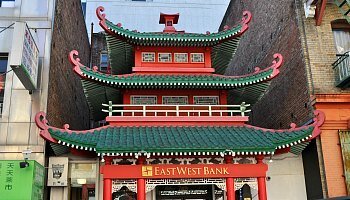 Enjoy a perfect day in Chinatown with my self-guided tour. Stop by historic temples, learn more at the Chinatown Museum, and sample dim sum. You will also get the chance to get in a little shopping for yourself or anyone on your list. In one day, you will see all of the best of this interesting SF District. In addition to Chinatown, I've also created a variety of other suggested itineraries by neighborhood and number of days you will be visiting. Here are a few more for you to check out to help you plan your journey. In addition to all of our fun San Francisco events in November, you will also find a variety of other fun things to do. These include cruises, tours, and free activities. You can also head out on a day trip, visit one of our top museums, and shop at some in some of our most popular districts. Do you need some advice on what to wear in November? To make sure you are prepared for these San Francisco events in November, you will want to bring along a jacket and some great walking shoes. What else should you bring? Check out my insider's guide on what to expect from the weather and some tips on what to pack for your stay.